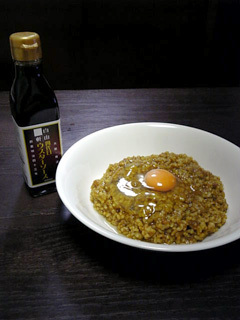 I'm interested in macrobiotics these days. In macrobiotics, natural sweeteners like pure maple syrup or sugar beets are recommended. So I bought a bottle of 100% pure maple syrup today. 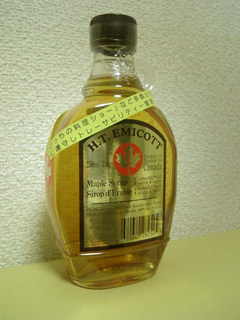 Pure maple syrup is graded to 5 levels. Actually the "extra light" I bought is very transparent and the most expensive level. I had a Korean lunch that is buffet style with my friend. We decided the one of 6 kinds of Sundubu first and then enjoyed the all-you-can-eat Korean buffet. 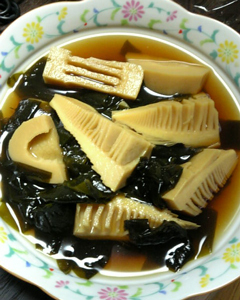 "Sundubu" is a raw bean curd ("zaru-dofu" in Japanese) stew. 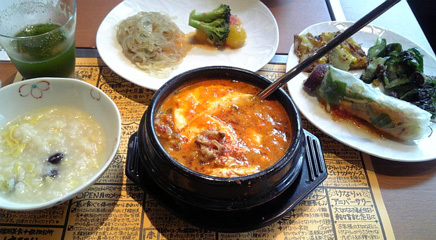 The taste can be somewhat spicy, but very tasty like "Chige-nabe". Healthy and tasty Korean buffet was great. 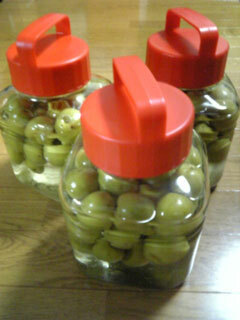 The sweet pickled Japanese apricot is ready. All I can do is wait! 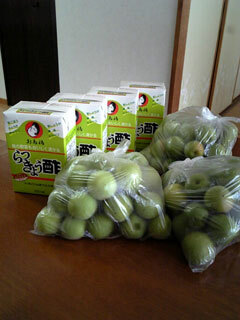 I got about 3 kilograms of Japanese apricot and 4 packs of vinegars for pickled shallots from my mother. Since my mother had gotten the Japanese apricot weighing about 12 kilograms from her sister (my aunt), she shared it with me. I have always wanted to make sweet pickled Japanese apricot since last year. My husband, OYABIN, sometimes visits Osaka on business. Last time he bought a "curry senbei" of JIYUKEN as a little souvenirs. We have brown rice usually but white rice matches it better, I think. I filleted sardines by hand and made Japanese-style sardine marinade. After then I soaked sardine bones and flakes into salt water and dried them to make "bone-senbei". 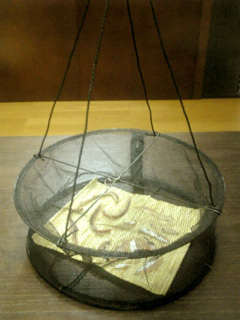 Incidentally, the cylinder-shape drying net was sold at 100-yen shop. I love Asian foods, especially Thai food. And Indian food is a close second. In addition to Vietnamese food and Korean food are my favorite, too. But unfortunately I missed annual Thai food festival held in Yoyogi park on May this year. 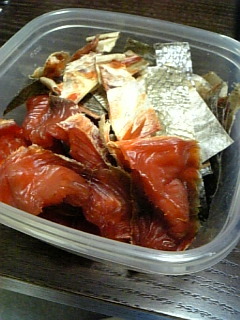 I like "Sake-toba" that is dried salmon. It's very tasty not only sake-meat but also its skin. Then it's crisp and crunchy! Yesterday, my sister and I gave a handmade-pain de mie class as the present of mother's day for our mom. Actually, the class teacher was my sister who goes to a bread school, and I was her assistant. 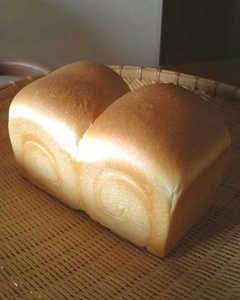 Our mom often made homemade-buns for us when we were child. She seemed to be recalling that and enjoyed our present. 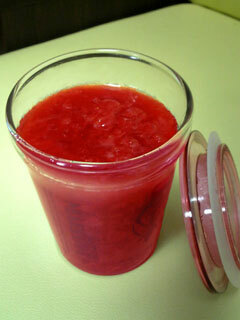 I like to make a strawberry jam. It's one of my little pleasures of the season. Homemade jam isn't so sweet since I can adjust the amount of sugar. I french-fried boiled soba noodle. In my childhood, my mother used to make it as healthy snack for my sister and me. 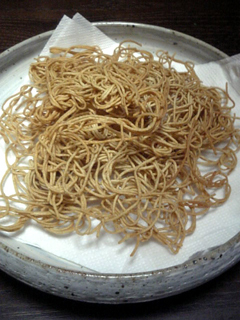 We loved this snack and called it "SOBA-AGE". It's one of my "mother's home cooking". The day before yesterday, my younger sister shared some of bamboo shoots, which were given to her from someone, with me. That's very nice of you, my great sister! Then I cooked them and made a "Wakatakeni" yesterday. The fresh bamboo shoots are yummy! I love ginkgo nuts (in Japanese, GIN-NAN). So I'm happy this time of year, it's ginkgo nuts season. Do you like it? If you do so, I'll tell you how to cook them easily to eat. 1) Put the ginkgo nuts and salt in a brown envelope. 2) Fold the edge of the envelope to close. 3) Put the envelope into a microwave. 5) When two or three ginkgo nuts blow up, it's the time to eat! Isn't it super simple cooking? Just take my word for it and try it!